Parents, area league officials react to latest study that connects sport to brain injuries. Jody Farias was on hand to see any parent’s nightmare scenario unfold. 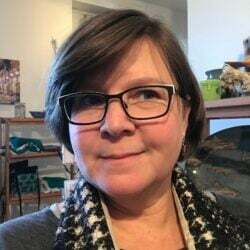 She saw her son, Eli, remain on the ground after a hit in a Gardiner Youth Football game Sunday at the Topsham Fairgrounds. She heard him complain in between sobs of pain in his neck, shooting down toward his lower back. 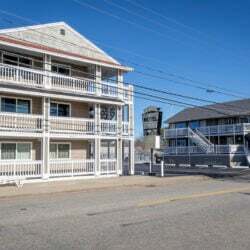 And she was with him as he was first taken to the emergency room at Maine Medical Center, then subjected to one test after another over the course of an 11-hour hospital trip. Eli Farias holds on to a football during a Gardiner youth football game Sunday against a Brunswick Area Youth Football League team at the Topsham Fairgrounds field. It was a scare, but ultimately, little more. Eli, 11, was home that night, back in school Monday and watching practice Tuesday. But it could have been worse, and for Jody, knowing that left a mark. A new study conducted by Boston University researchers suggests children 12 and under who play tackle football are at greater risk of depression and developing behavioral problems than those who take up the contact sport later. Furthermore, the study showed that these children on the gridiron could struggle with problem-solving and organization as they mature. Jody Farias acknowledged that the latest research that links football to brain injuries is unsettling. Health in youth football — including high school — is ongoing discussion, and the subject is in the forefront again as participation numbers dwindle nationwide. 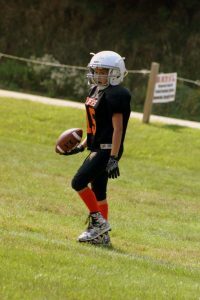 While data on youth football participation is unavailable in Maine, the Washington Post reported that flag football has seen an increase of 225,000 players nationwide in the last three years. 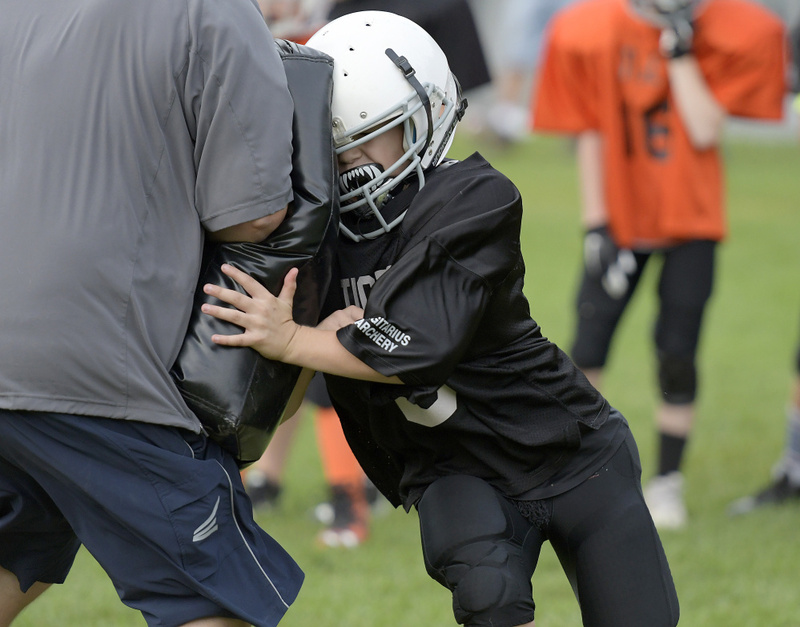 According to the Sports & Fitness Industry Association, participation in tackle football among 6- to 12-year-old boys has dropped a whopping 20 percent. Although these statistics indicate a shift away from the sport, some parents are unfazed by the latest research, saying that more attentive coaches and program directors keep their confidence high. Chris Sementelli, the program manager for Maine General Sports Medicine, said safety today is a much larger concern at all football levels then compared to decades ago. Sementelli added that he sees more student athletes with concussions from soccer, but added the larger number of students playing that sport is a factor. “All sports have an inherent risk,” he said. Sementelli said Maine General offers free classes for youth sports coaches, covering first aid and how to be aware of head injuries. A Gardiner youth football player hits a pad during practice Wednesday in Gardiner. 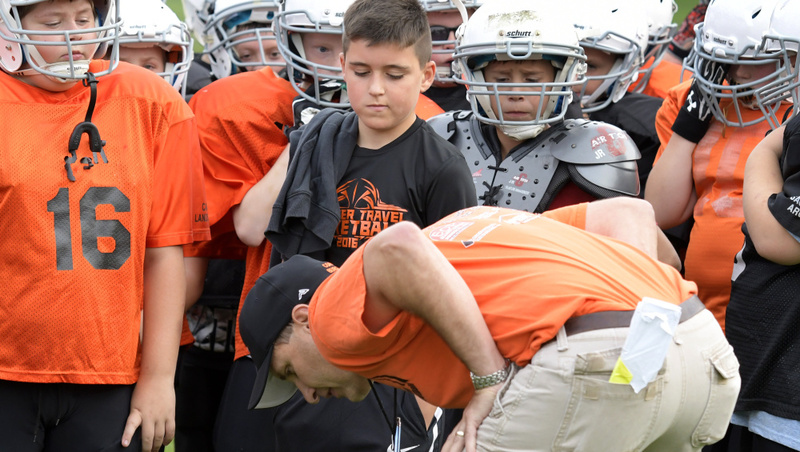 Area youth football program directors say there is increased focus on head injuries and that it has pressured those in the sport to find new ways to make the game safer. Isaac LeBlanc runs Waterville’s youth football program through the Alfond Youth Center. LeBlanc said his league has focused on safety through proper coaching for four years. Each youth coach in Waterville must get health and safety certified through a USA Football online course, and each much take a refresher clinic with LeBlanc before the start of each season. In the summer, LeBlanc attends a USA Football master training class so he can update his coaches on any safety developments. LeBlanc added that proper technique is paramount to keeping players safe. “The head does not need to be a part of that. We’re not teaching kids to stick their heads right into a guy’s chest. That’s not a good thing,” LeBlanc said. 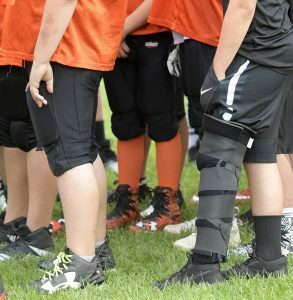 A player in a knee brace listens to Gardiner youth football coach Dan Burgess during practice Wednesday night. It’s the same in Gardiner, where all coaches are likewise certified, many going through clinics at Bates or Colby College, and where the technique has been shaped by the same USA Football guidelines in use at Waterville. LeBlanc acknowledges nothing can guarantee 100 percent safety, but he stands by Waterville’s track record since it began using USA Football-sanctioned instruction. The league has not had a player suffer a medically diagnosed concussion in four years, LeBlanc said. Burgess said Gardiner also hasn’t seen a concussion at the 3-4 or 5-6 levels in the three years he’s been president, and said that switching to safer air helmets has helped, in addition to technique adjustments. The work done to make football safer has been extensive, Jusseaume said, and he added that that progress often gets overshadowed with each alarming study that comes out. “It aggravates us because all we ever get is a negative. We never hear that you helped develop these kids into something they never thought they could be,” he said. “I’ve been with the program for over 10 years, and it’s night and day now. Ten years ago, it was let’s slap on the equipment and let’s go, smashmouth football. People appear to be listening. Burgess said Gardiner’s numbers have started to tick back up after an initial hit, and Jusseaume said he thinks Brunswick’s — and the state’s — will rise as well.